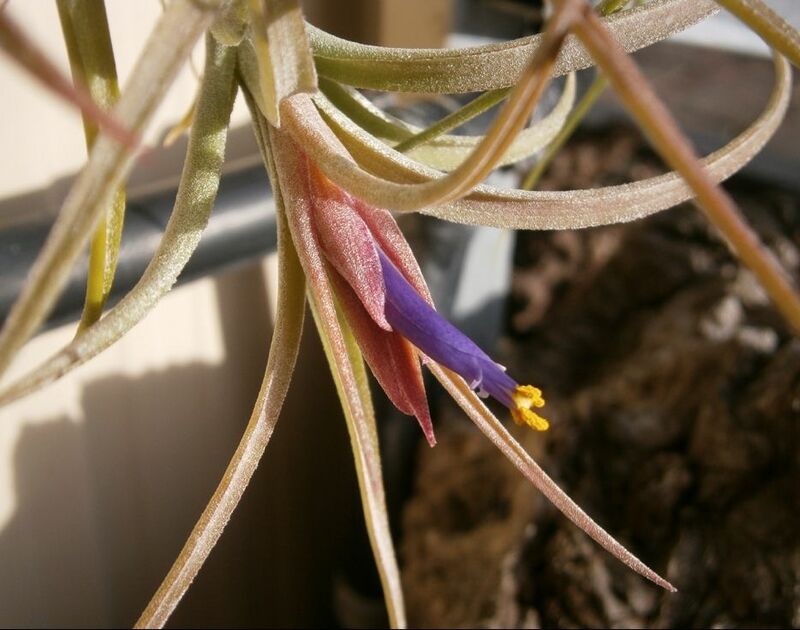 baileyi x ionantha, Foster, 1965. 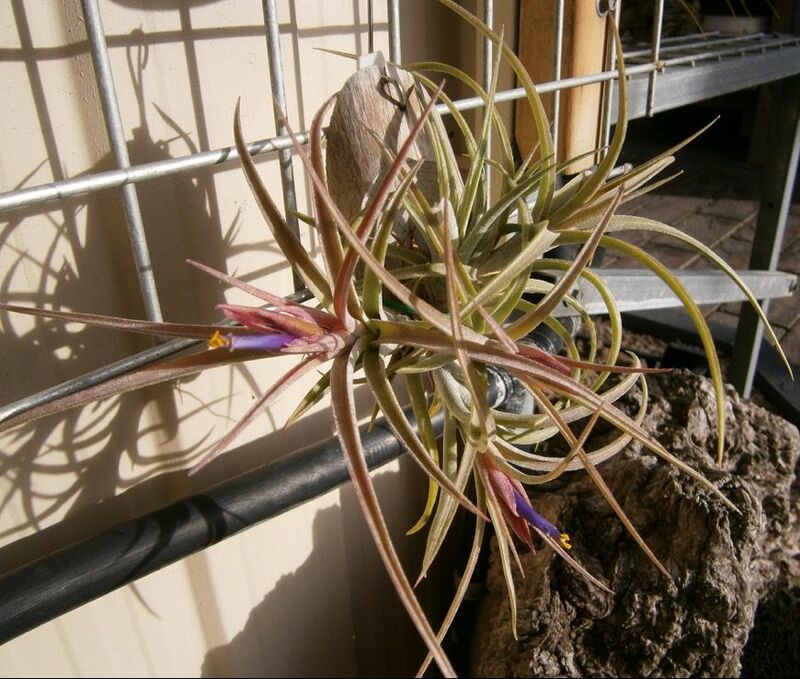 From BCR ... "Tropiflora said, "A miniature w/short 3" leaves in an upright somewhat bottle shaped rosette - the inflorescence is a short simple scape w/purple flowers and a reddish blush - also occurs naturally in northern Mexico"." Ray Clark ... "this one purchased in 2011 at a BSSA sale from our dearly departed mate George Rudolph. Not to be confused with T. califani."